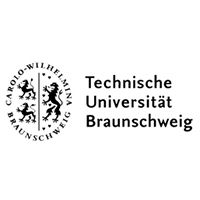 Profile: Established in 1745, the Technische Universit¨at Braunschweig (TUBS) is the oldest technical university in Germany with Carl Friedrich Gauß as one of its early students and lecturers. Embedded systems are one of the core research areas of the EE department that continuously ranks in the top 10 EE departments in Germany. The Institute of Computer and Network Engineering (IDA) is internationally known as one of the pioneers in embedded system design automation, HW-SW co-design (with more than 800 references to a single seminal paper), and real-time analysis and optimization for networked systems. IDA has currently more than 60 staff members and more than 3 million EUR annual 3rd party funding (2009). In the past 10 years, there was a major emphasis at IDA on timing analysis and optimization for networked embedded systems leading to a spinoff, Symtavision that meanwhile operates worldwide with major automotive OEMs and many suppliers as their customers. That work at IDA was and is supported by funding of the German Deutsche Forschungsgemeinschaft totalling over 2 million EUR in several projects, by the German BmBF in several projects, by the FP7 COMBEST project and by the NoEs Artist 1, 2, and ArtistDesign. There is also direct industrial research funding in this domain, e.g. by Intel, Volkswagen, Daimler, Toyota, or GM. The Institute of Computer and Network Engineering also has more than 20 years experience in the architecture and design of reliable computers and fault tolerant mass memories for space applications. Based on this work, embedded system reliability has become a second research focus. In the ARTEMIS project RECOMP that covers reduced cost certification of mixed criticality multicore systems, IDA coordinates the large WP on HW/SW technologies. Further collaborative projects in multiprocessor systems-on-chip reliability are concerned with dependable networks-on-chip funded by the German BmBF and with reliable microkernels implemented on unreliable technologies for safety applications funded by the German DFG. In addition, the recently completed SHARCS project and the ongoing projects are THREAT-ARREST and CCC Projects. Expertise and Role in CONCORDIA: TUBS will participate in all WPs and also lead task T1.4 on Data/Application-centric Security. For CONCORDIA, TUBS will contribute a Forensics Data Visualization Toolkit that allow datasets to be viewed graphically and combined with other datasets to improve the understanding of the investigator and identify possible problems in many scenarios.